They say that every published writer has at least one book in their bottom drawer. The one that didn't make it. I'm sure that there are exceptions to this, but I'm not one of them! SEED isn't my first book - I've got another one, tucked away. It's one I still have faith in, but it wasn't quite good enough to get onto the shelves. The great thing about my first book not getting picked up, was that I could write SEED without any expectation on my shoulder. That's definitely how my writing spirit prefers to work. I was free to write Pearl's story and if I didn't do it justice, then I would get on with the next one. Luckily, though, fate steered me in the direction of Veronique Baxter - an agent at The David Higham Agency. She read the first three chapters 'in one big gulp' and asked to see the rest. I couldn't believe that Veronique might want to take me on - she has incredible authors on her list, including the mighty Michael Morpurgo! I can't describe what it felt like when she said that she wanted to represent me. Getting an agent is a writer's dream - getting Veronique felt like I'd won the lottery! The next stop was editorial input from both Veronique and Laura West (also at David Higham), as we got SEED into shape to go out on submission. Then Veronique sent it out to publishers and we held our breath. One thing I didn't realise before I ventured into this inner sanctum of the book world, was quite how much breath-holding goes on. There are many weeks of nervous waiting and obsessive checking of your email's inbox. I was more realistic this time round though, having seen my first book stumble at the submission process. So I enjoyed it more - knowing that whatever the outcome, I was in a position where editors at top publishing houses were even reading my novel. There were rejections, of course, but two publishers were interested. It was a crazy situation to be able to choose. Stephanie Kuehn swung it for me. Electric Monkey, the YA imprint at Egmont, published her incredible novel, CHARM AND STRANGE and I couldn't pass up on the honour of being alongside her! When I went to Egmont for the first time, I felt like I was stepping on hallowed ground. Books have always had a slightly mystical quality for me and it was dizzying knowing that this was one of the places where some books started. Ali Dougal, my editor, was so warm and enthusiastic. And Lucy Pearse had even made me a seed cake! When I saw that Ali had written her notes by hand, I knew that she'd be the perfect editor for me. People ask whether I mind the editorial process - but I genuinely love it. I see it as an opportunity to spend more time with characters that I love and to get to know them even better. And working with such a brilliant editor as Ali was a complete privilege. There's a saying that lightning doesn't strike in the same place twice, but it appears that luck certainly does. When Ali went on maternity leave, I couldn't believe it when she was replaced by the fantastic Lindsey Heaven, who is equally wonderful. With the editing complete, we now waited to see if anyone would buy the foreign rights. SEED sold to seven countries and it's extraordinary to think that my little book will be translated into all these different languages and be read by people in places I can only dream of going to. Next step was something I'd been really looking forward to - the UK cover! The designer, Ben Hughes, had a true connection to the book and what he came up with was astonishing. 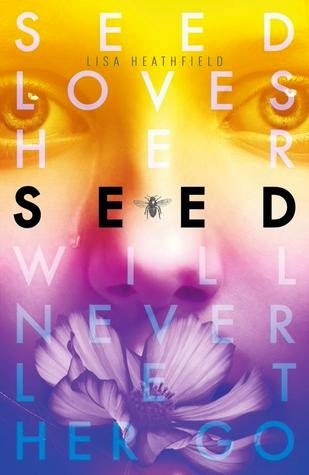 SEED's cover is beyond anything I could have hoped for. It's beautiful, unique and compelling and, as the lovely Abi Elphinstone said, it's like a disco on a book! I know how incredibly lucky I am - I think that Ben is a genius. The months building up to publication have felt like a dream and by the time this is on Kirsty's blog, SEED will be on the shelves of bookshops and libraries. I don't think I'll ever believe it. How can I be an author of a real, live book?! The whole experience is definitely a testament that if you truly wish for something, and work to achieve it, anything can come true.